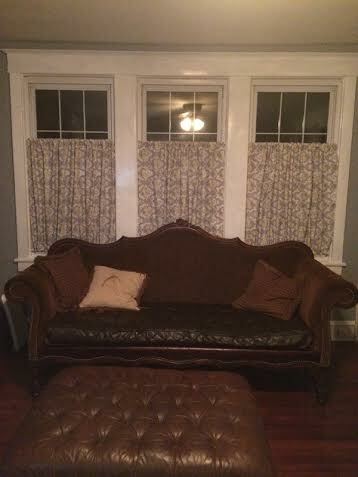 I’ve since learned that your preferred style of curtains is much like your preferred style of clothing, color, etc. It will change from time to time. Several years ago, back when I was just learning the ropes with sewing, I was in major need of some kid-safe curtains. Luckily, right around this time, my interior decorating style changed to something more modern and simple. 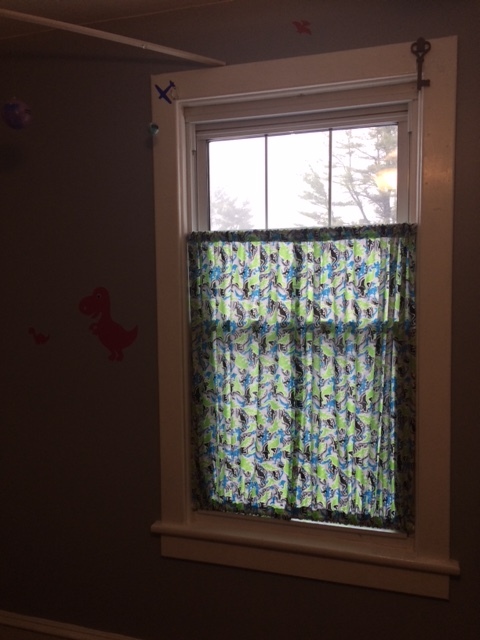 I decided that I wanted to expose more of the beautiful almost 100-year-old window trim and give the kids less temptation to roll themselves up in the curtains. Let me show you how easy these are! 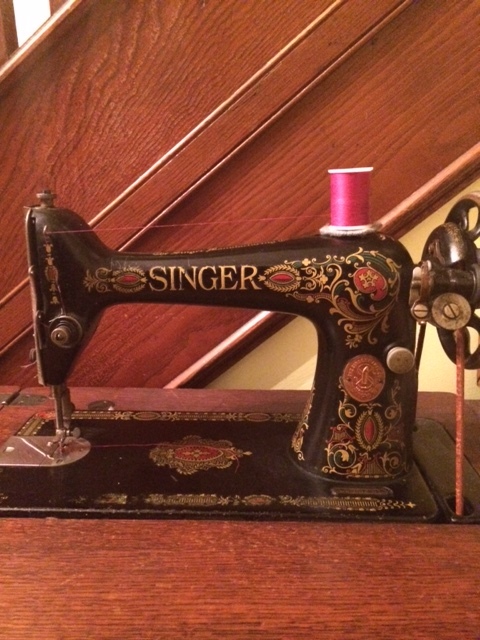 My fav, the 1919 Singer 66 treadle. This really is easy and no fuss. I don’t mess or worry much about the height of the curtain panel, because that is determined by the measurements that the manufacturer uses. For instance, I think most of the Joann home decor fabric is around 45 inches in height (or something close to that). I lose roughly five inches (if I remember correctly) when I make my top and bottom loops, and that’s fine with me. The most important thing is to get the right amount of crinkle so that it doesn’t look like you just have a bed sheet hanging over your window. All of our windows are made with a panel that is twice the width of the window I wanted to cover. 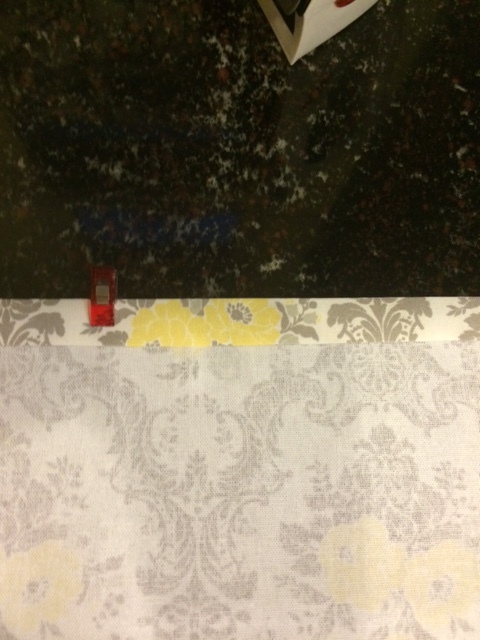 So if you have a 30-inch wide window, for example, you need to cut a 60-inch wide piece of fabric for your panel. I think this ratio looks nice. It’s not too crinkly, and not too just, you know, blah, either. Step 2. 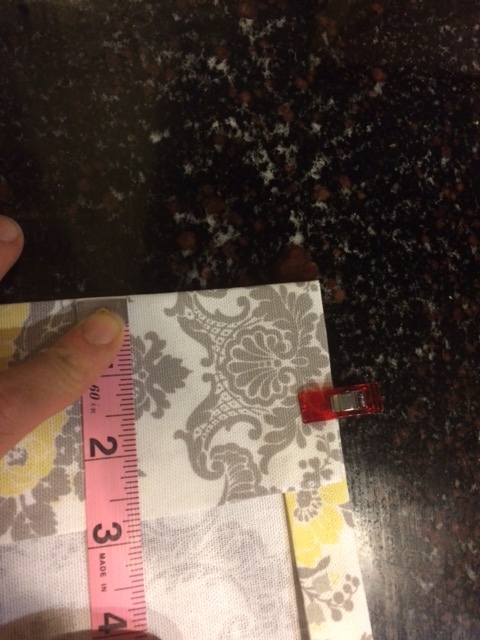 Cut out your widths that you need (if you didn’t have them cut that way at your fabric cutting counter). So you will have rectangles cut to the width you need and the height will be left alone. Step 4. Once you have ironed over your first fold on the side of your panel, remove clips (if you used them) and fold it over another 1/2 to 1 inch (folding width is personal preference) and repeat Step 3. Clip this in place. Step 5. 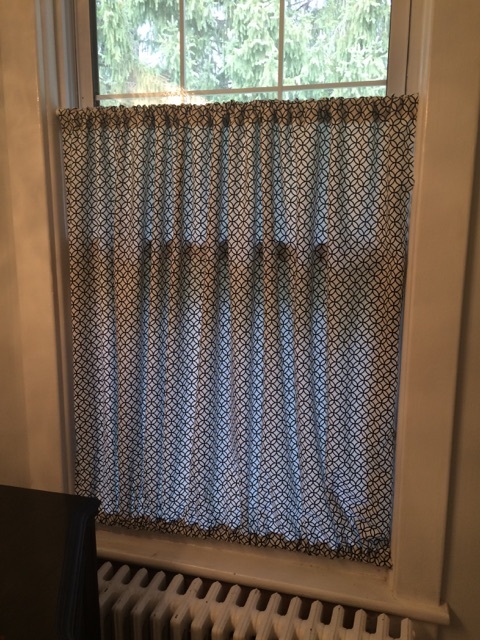 Repeat this process on the other side of your curtain panel. Now you have raw edges on your top length and bottom length of your window panel w/ two finished side edges. Perfect. We will now make the loops for your curtain rods. Step 6. On your top unfinished section of your curtain panel, you will be doing the same thing that you did along the vertical edges of your panel. 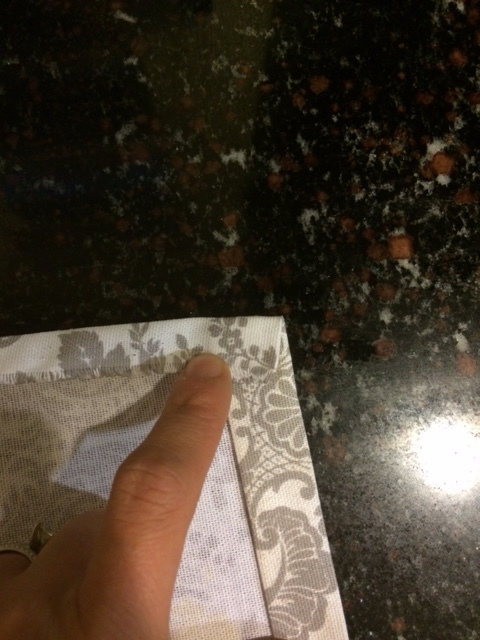 You want to fold down 1/4 to 1/2 inch of your raw edge. Use your spray starch if you’d like, and iron this down so that it’s nice and even. Also, make sure your measurements of your fold are as close to the same as possible on each corner. Step 7. Now we have to create our loop for the rod. We want to fold this section over again, with a larger clearance this time, to accommodate the tension rod. Use spray starch, again, if you’d like, and iron down in place. Be sure to measure your fold heights at the corners to be sure they are as close to equal as possible. Iron folds nice and crisp. Step 8. Repeat Step 7 for your bottom panel edge. Step 9. Go back through, quickly, and just measure up at your corners. Hopefully, your folds at each corner match your other corners. Step 10. 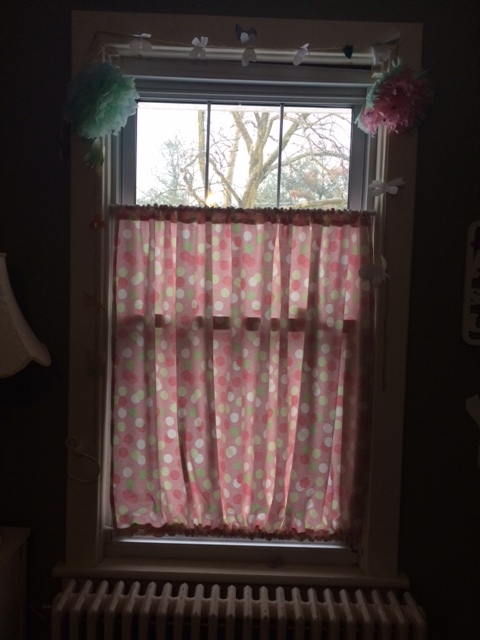 Sew your curtains! You’re done! You’ll spend more on the rods than you will on the fabric if you get it on sale or with a coupon (or upcycle!)! 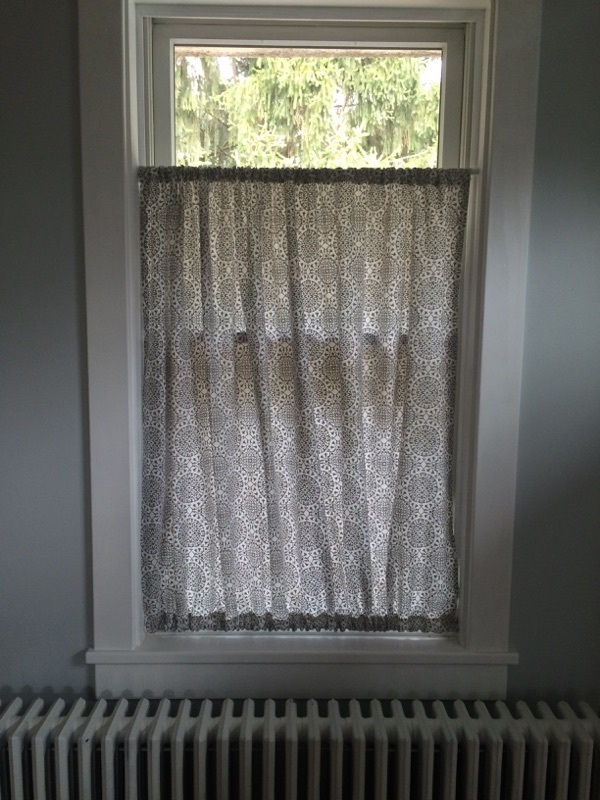 And this can easily be changed (by playing with your measurements) to make a window treatment with multiple panels, if you’d like. As I mentioned before, I like this style because of ease of cleaning, ease of sewing, cost of small pieces of fabric, and the fact that it deters kids from tugging on rods that could fall on them. 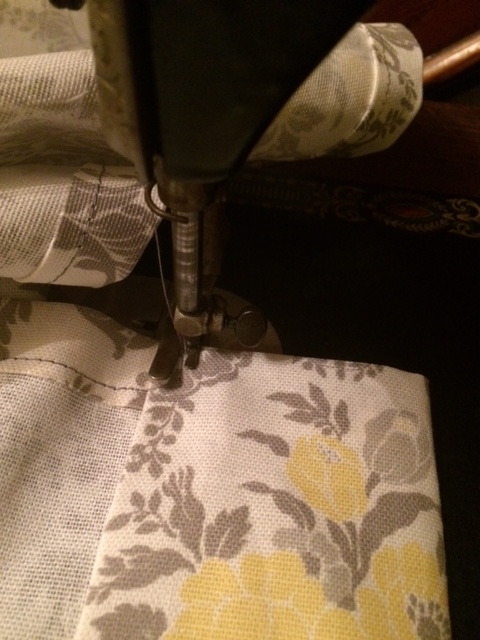 I think curtains are possibly the most perfect beginning sewing project ever! Our daughter’s polka dot single-panel. Sorry for the horrible lighting, again. Maybe it’s a sign that I need to move somewhere with more mild winters. Honey, are you reading this…? Next > VSM Talk – The Fam is Growing! I think I want to do something like this in my babies nursery.